The application bundle will not be the only component to see a price increase. Also slated for an Oct. 1 boost will be prices for on-premise servers, including Windows Server 2019 Standard Edition and what Microsoft dubs "productivity servers," which include Exchange, SharePoint Server and Project Server. Those servers' prices will climb by 10% as well. Perhaps even more importantly, the CALs (client access licenses) required for personal computers to connect to, and access information on, Microsoft's server software, will jump up, too. Prices for the Enterprise CAL and Core CAL - suites that bundle several separate CALs - will go up by 10%, but the RDS per Device CAL (RDS stands for Remote Desktop Service) will climb 30%, Microsoft said, "to match the per user price." The last time Microsoft raised prices on the perpetual license version of Office was in 2010, with the debut of Office 2010. Microsoft categorizes software by how it is paid for, discriminating between a license that was bought outright from one that is essentially "rented" because it's paid for over time, like a subscription. The term perpetual license refers to a software license that is paid for with a single, up-front fee, which in return gives the buyer the right to use that software in perpetuity. In other words, the license has no expiration date, and users may run the suite as long as they want. On-premises software is, by definition, installed on an individual's or company's own devices and servers. The two terms, although commonly linked, are not synonyms. (The alternative to a perpetual license is a subscription - the rental model; the flip side to on-premises is cloud-based, with software packed onto a service provider's servers, then accessed remotely.) Although Microsoft defended the changes, including the new pricing for perpetual licenses of Office 2019, saying it wanted "to create consistency and transparency across our purchasing channels" and to get customers to "realize the long-term cost savings by shifting to the cloud," Miller saw it a bit differently. If Microsoft had a time machine, he said, it would have started with subscriptions, not with one-time payments, for software. "In a perfect world, as far as Microsoft is concerned, all we'd have would be Office 365," Miller said, referring to the family of subscription plans that combined locally-installed client software and cloud-based services. "But we have a world in which enterprises are heavily invested in on-premises." According to Miller, the price increase for Office 2019, the associated on-premises server products and the CALs is part of the effort by Microsoft to "move more from that left column (of on-premises perpetual license software) to the right column (of cloud-based subscription software)." And if higher pricing on the former helps push more customers toward the desired result, so be it. Although the higher price for Office 2019 might have gotten all of the headlines, the price increase of various CALs for access to on-premises servers may be the most important aspect of the overall price-increase strategy, Miller argued - in part because October's 10% boost will be the third-straight price hike for those licenses. 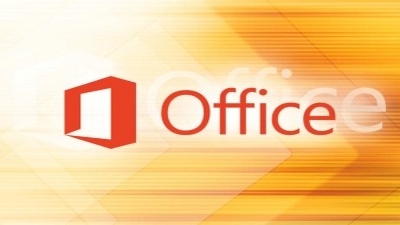 Microsoft raised CAL prices for Office 2019's two most-recent predecessors, Office 2016 and Office 2013. "As the last two generations arrived, the user CALs (were raised) 15% each time," Miller confirmed. It's unclear whether Microsoft has other price changes in mind, say to Office 365 itself. But if Miller's theory is correct, that's unlikely, since higher pricing for perpetual license and on-premises software is intended to motivate customers to look at the alternatives. "It's going to be harder to look at licensing for on-premises using perpetual, versus Office 365, when comparing on purely financial terms," Miller contended. Microsoft has issued previews of Office 2019 - for both Windows and macOS - to commercial customers, as well as more recently, betas of Office server titles, including Exchange 2019. Currently, the company has said only that the suite and servers would release this fall, without naming a specific date. With the price change effective as of Oct. 1, it's safe to assume the software will be available after that.